Fatal explosion threatens more upheaval over drilling in Colo.
BROOMFIELD, Colo. — Critics of oil and gas drilling are redoubling their efforts to stop development in the wake of an oil-field-related explosion that killed two people in April. 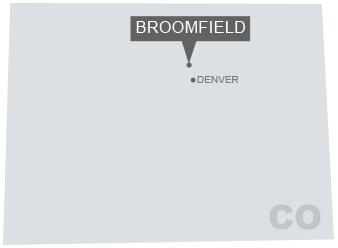 Broomfield, a fast-growing suburb about 20 miles north of Denver, exemplifies some of the trend. A group of residents is collecting signatures on a referendum that could ultimately make it harder to drill in the city. Meanwhile, a task force appointed by the City Council is wrapping up months of negotiations that could result in regulations requiring state-of-the-art technology to reduce the impact of drilling on surrounding residents. At the same time, a recall election is underway for one of the City Council members, largely because of his stance on oil and gas development. Similar politicking has been going on for years in cities and counties across Colorado's Front Range. Many of the new neighborhoods were built alongside, and often in the middle of, existing oil and gas fields in the Niobrara Shale, and the oil industry has seen a resurgence thanks to advances in hydraulic fracturing and other technology. The conflicts have intensified since the explosion in Firestone, a few miles up the road from Broomfield. Now, instead of worrying about long-term threats like air and water pollution, cities and counties have to ponder whether Colorado's unusual mix of oil fields and rapid residential growth is endangering people's lives. "The attitude a few months ago was 'All these things can happen,'" said Laurie Anderson, who is helping to organize the recall election. "Now they are happening." Other cities and counties in the area are already talking about tightening their drilling regulations. The Legislature come close to passing a bill in response to the explosion at the end of its session in May, and many observers believe the impact could continue into the 2018 legislative session and the midterm elections. 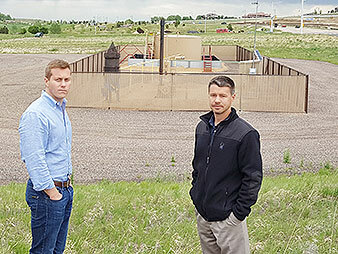 In the new environment, the oil industry's normal arguments about the economic necessity of oil and gas development may be a harder sell, particularly in affluent suburbs like Broomfield, said Seth Masket, a political science professor at the University of Denver. "It's hard for the energy industry to argue that regulations are killing jobs when the economy is so strong in many communities," he said. The April 17 explosion happened in Firestone's Oak Meadows neighborhood, a new subdivision that was built adjacent to a group of gas wells drilled in the 1980s and 1990s. Investigators determined that a pipeline serving one of the wells was improperly cut off, just a few feet from a house built in 2015. The pipeline was still connected to a nearby gas well and allowed gas from the well to seep into the home's basement. The owners, Mark and Erin Martinez, were in the house when the gas exploded. Mark Martinez and his brother-in-law Joey Irwin were killed, and Erin Martinez was flown to a hospital after a construction crew and other bystanders rescued her from the burning wreckage. 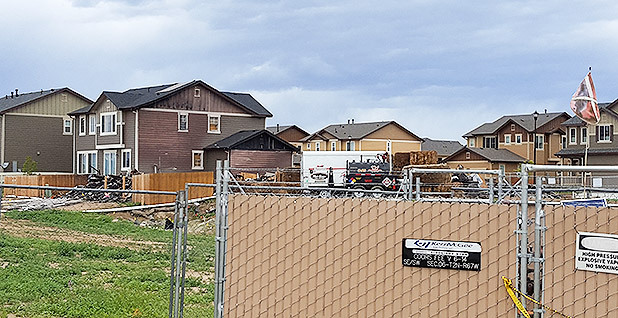 The accident highlighted how the Front Range's population growth has pushed residential development into the oil patch. The population of Weld County, which includes Firestone, grew 17 percent between 2010 and 2016, to about 295,000. Its oil production grew almost fivefold during the same time, to 282,000 barrels a day. Similar trends have been happening in adjacent counties, including Broomfield, which is both a city and county; Adams County; Arapahoe County; and parts of Boulder County. And it has led to pushback from residents and local officials who are concerned about living and working so close to oil and gas wells. While the Firestone explosion involved older wells that were drilled decades ago, the shale boom has been a primary driver of the strife. Fracking, or hydraulic fracturing, is a process used to break up rock formations with a pressurized mix of water, sand and chemicals. It has revitalized the oil industry across the United States, but it has also led to complaints about air and water pollution and other impacts such as noise, dust and truck traffic. In 2012, voters in the city of Longmont approved a ballot measure that banned hydraulic fracturing. The Colorado Oil & Gas Association promptly sued the city (Energywire, Dec. 12, 2012). Over the next few years, other communities passed temporary and permanent bans, either at the ballot box or in local ordinances. Broomfield's five-year ban passed in a referendum in 2013; the vote was so close, it took more than a week to determine whether the ban had been approved (Greenwire, Nov. 15, 2013). Colorado Gov. John Hickenlooper (D), along with the oil industry, argued that local communities can't block oil and gas development, and that the state has primary authority over energy regulation. In 2016, the state Supreme Court agreed, striking down the bans in Longmont and other cities and counties. The court said the state government has an overriding interest in promoting oil production, and that banning oil and gas development would infringe on people who own mineral rights in Colorado (Greenwire, May 2). The City Council in Broomfield, a relatively wealthy community that features big homes on large lots, has been wrestling with an oil company's drilling proposal for more than a year. Extraction Oil & Gas, based in Denver, was formed in 2012 and began buying acreage throughout the Front Range. While the company says most of its drill sites are in rural areas, it has become a specialist in urban drilling, with sites in Broomfield, Greeley and Windsor. The company bought its acreage in Broomfield from another company, Sovereign Operating Co. LLC, that had already negotiated an agreement to drill at least 31 wells on 10 sites in the city. Extraction Oil & Gas offered to reduce the number of sites, but sought permission to dramatically increase the number of wells to 139. When news of the proposal hit in 2016, neighborhood groups protested and called for the city to pass another moratorium on fracking. In January, the City Council voted down the moratorium and set up the citizens task force to write tighter drilling regulations. Extraction joined the negotiations willingly. The company wants to use its project in Broomfield as a demonstration project of urban drilling done with the latest technology to lessen its impact. The idea is to develop a track record and gain political capital that will make it easier to drill in other communities, Vice President Eric Jacobsen said in an interview. The company originally wanted to drill 139 wells inside Broomfield, and it wanted to apply for state drilling permits in May. The company has acquired a fifth pad site just outside Broomfield, which allowed it to cut the number of wells in the city to 99. And it agreed to delay its permits for the four in-town pads until the end of the summer, Jacobsen said. During a May 23 meeting to discuss the task force's progress, Extraction appeared to have won over both the task force members and most of the City Council. The company plans to drill with an electric-powered rig, sound walls and specially designed equipment to reduce the normally thunderous sound of the fracking process. The sites will be screened by earthen berms, landscaping and fences. It plans to pipe oil, gas and waste products to a central processing plant, which would reduce the emissions from the pad sites and allow the company to eliminate most of the tanks and other storage equipment from the sites. 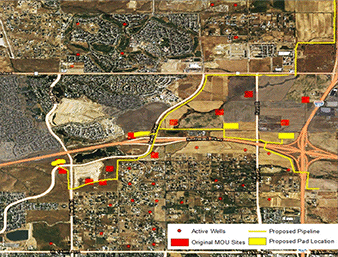 And perhaps most importantly, in the wake of the Firestone explosion, Extraction plans to shut down 41 vertical wells that are interspersed with Broomfield's neighborhoods. Some of the old wells are less than 200 feet from the surrounding homes, and many of them date from the same era as the wells in Firestone. The negotiations have gotten tougher since the Firestone explosion, said Pat Quinn, a former mayor of Bloomfield who's part of the drilling task force. "It just adds a seriousness to it," he said. The recall election was underway before the Firestone incident, but it, too, has gotten more intense. Two candidates joined the race in late May. Anderson, who helped gather signatures to force the election, said her experience has been typical of a lot of drilling critics. She and her husband bought a home in Broomfield about two years ago and didn't realize how much the oil and gas industry was expanding. Suddenly, the city was considering allowing dozens of wells on a site near her home that previously had only one well. "It's just a surprise that something like this could even happen," she said. The referendum to change the city charter was also inspired by the explosion, said Kim McNaughton, one of the organizers. The petition wouldn't ban drilling; instead, it would allow drilling "to only occur in a manner that does not adversely impact the health, safety, and welfare of Broomfield's residents." At least two of the Broomfield residents who filed the petition live in Anthem Highlands, one of the neighborhoods that would be affected by Extraction's drilling plan, according to a news release. "Why wouldn't we want to give local government the authority to preserve our safety?" McNaughton said in an interview. The proposal still has to undergo a legal review, and the group will have to collect 2,435 signatures in order to force the petition onto the election ballot in November, according to the city election department. The petition is asking Broomfield to adopt a similar legal standard to one that arose out of a statewide court case. The suit, Martinez v. Colorado, challenged the state's historic approach of balancing the oil and gas production against the impact on human health and safety. A trial court rejected the argument, but a state appeals court sided with the plaintiffs. Hickenlooper, under pressure from local governments, urged the Colorado Oil and Gas Conservation Commission (COGCC) not to appeal the decision. Last month, the state's Republican attorney general, Cynthia Coffman, opted to appeal the case to the state Supreme Court (Energywire, May 19). The COGCC, whose members are appointed by the governor, has argued that the Firestone explosion was caused by a rare combination of circumstances and is unlikely to happen again. But the explosion pointed out a gap in the state's oversight. The COGCC has good information on oil and gas wells, but it doesn't have accurate records of the type of pipeline linked to the explosion, known as a flow line (Energywire, May 3). The COGCC ordered companies to take an inventory of their flow lines by the end of May, and check them for leaks by the end of June. Preliminary information shows that there are more than 16,000 wells statewide with flow lines that are within 1,000 feet of nearby homes (Energywire, June 5). There's been more negative news for the oil industry in the last few weeks. Soil tests found a second underground pipeline leak in the Oak Meadows neighborhood in Firestone, according to the COGCC. The line was a branch of the same pipeline that was cut off near the Martinez home. It, too, had been improperly cut off and left uncapped, although regulators said it didn't pose a danger to nearby residents (Energywire, May 30). Anadarko Petroleum Corp., which owns the wells involved in the Firestone explosion, said it will permanently close three wells near the Oak Meadows neighborhood and has provided gas detectors for nearby residents. The company has shut down 3,000 similar wells temporarily while it conducts safety checks, and it has disconnected all of its flow lines that are similar to the one involved in the explosion. On May 30, Anadarko had another accident at a site in the nearby town of Mead. The incident was apparently unrelated to the Firestone explosion, but a maintenance worker was killed, and three other workers were injured (Greenwire, May 30). A spokesman for Anadarko, which is the biggest oil and gas producer in Colorado, declined to comment for this story. Ultimately, the explosion could persuade some communities to challenge the state's primacy over drilling regulations, said Mike Freeman, an attorney for Earthjustice who has worked with local governments. "What the Firestone explosion really casts in sharp relief is the contrast between all the promises the state has been making in recent years that it is protecting the public and that local governments and counties need to back off," he said. "When people's houses start exploding, it makes it a lot harder for local governments to just defer to the state." Legislators are already staking out their positions, with Republicans urging a cautious approach and Democrats pushing for tighter regulation. State Rep. Cole Wist, a Republican from Arapahoe County who is the assistant House minority leader, said legislators and local governments need to wait for the results of the state investigation. "Before you design public policy, you need to understand the nature of the problem," he said. "At the end of the day, I think we can do it safely." Mike Foote, a Democratic representative from Boulder County who sponsored the pipeline mapping bill in the recent session, said the oil industry needs to acknowledge that many people simply don't want to see drilling close to neighborhoods, even if it means that some oil and gas can't be developed. "It doesn't make sense to put a heavy industrial operation in the middle of a neighborhood," he said. John Straayer, a political science professor at Colorado State University who recently retired after watching the state Legislature for 50 years, said the fallout from the explosion could ultimately widen the polarization in the state. "That divide isn't going to go away," he said.